The Golden Age Of Mids? There’s never been a better time to be in the market for a lower alcohol beer. Where once your choice was between a lager from one of the major brewers or one of a tiny number of light beers from smaller producers, today there are brewers adding flavoursome beers at 3.5 percent ABV or lower to their lineup on an almost weekly basis. What’s more, by using new techniques or ingredients – and having more collective knowledge to plunder – the diversity of such offerings is growing too. Add in the rapid rise of kettle sours, often augmented by fruits, spices and other adjuncts, and you could argue we’re in a golden era for mid-strengths. So, how and why did we get here? And, perhaps just as importantly, has it been worth it? Are craft beer drinkers actually interested in lighter beers, other than when they need to remain under the limit? Here, we chat to brewers about the challenges of making such beers well and retailers across the country to find out whether anyone really cares. Hop forward pales and punchy session IPAs that sit around 3.5 percent. Puckering gose, Berliner weisse and fruit beers with texture and tang. Feisty ginger beers or finely judged lagers lacking nothing but the additional booze that would nudge you over the limit after a couple. Thanks to better understood hopping techniques, the broadening of palettes when it comes to grains, the rise of funky yeasts and bacteria-derived acidity and an open-armed embrace of fruit, flowers and flavouring, brewers are finding ever more ways to ensure reduced alcohol doesn’t have to equate to reduced enjoyment. 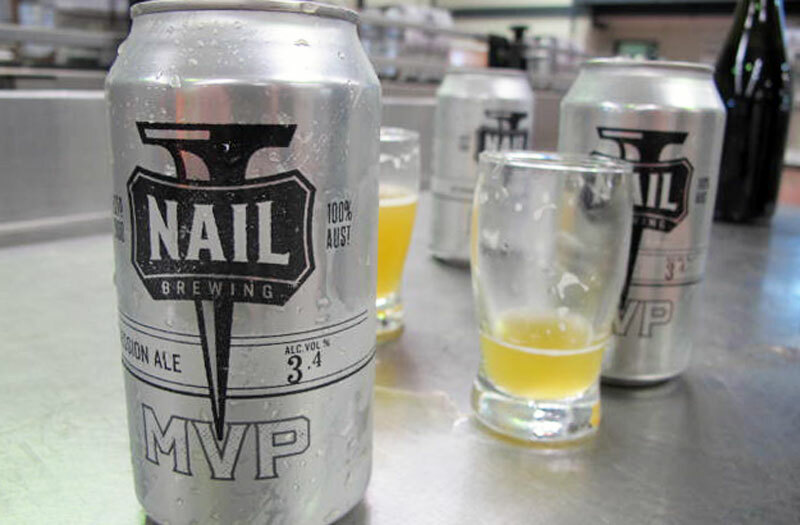 And, if the country’s beer judges are to be believed, the best of the locally brewed mid-strengths on the market today is the MVP from Nail Brewing in WA. The beer took out Champion Reduced Alcohol Beer at the Australian International Beer Awards earlier this year and followed that with the equivalent trophy at the Perth Royal Beer Awards soon afterwards. 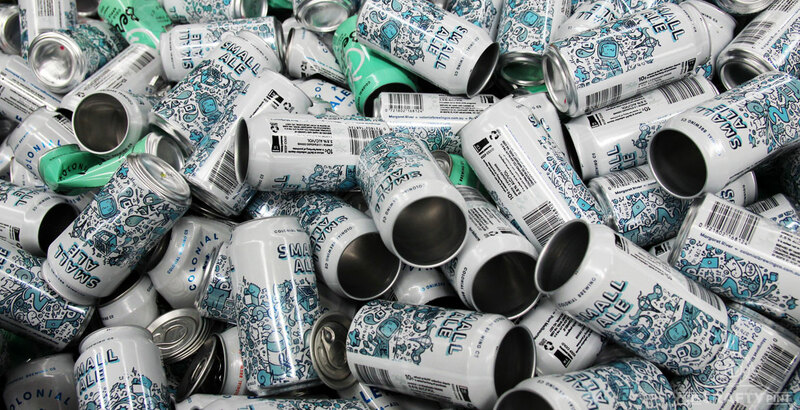 It’s only been out in cans since winter 2017, yet it’s far from an overnight success. MVP’s origins stretch back to 2011 when John was brewing at Edith Cowan University (ECU) and was inspired in part by the success of one of his brewing peers, Justin Fox, who took out an AIBA trophy for a mid-strength pilsner when at The Monk in Freo before becoming head brewer at Colonial where he helped develop the pioneering Small Ale. In the years since those first brews at ECU, many low ABV variants have appeared on taps around Perth as part of John’s quest to create a beer that would match the standards of so many other Nail beers, with his greatest challenge brewing one that didn’t appear too thin. The result is a beer that’s developed a strong following in his home state and was described by Guy Southern of this parish as a “category killer” when he join John for the first packaging run early in 2018. Sampling the first canned batch of MVP fresh from the packaging line in July 2017. “To live a balanced life, you need lower alcohol beers too,” John says. “You need to be able to drive and you need to have a fit body. 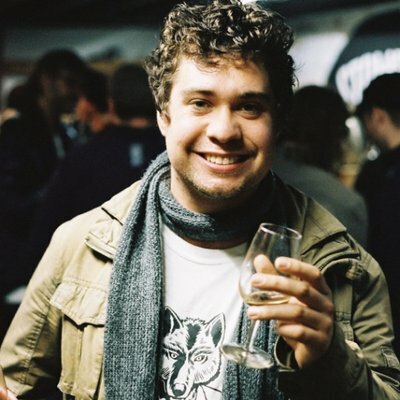 For Fil Kemp, head brewer and co-founder at Adelaide’s Little Bang Brewing, his main drive when developing a mid-strength was to have a full-flavoured lower alcohol beer available for anyone driving to the taproom. It’s led to a few options over the years, including The Pinkening hibiscus sour and Little Banger, a three percenter designed to slot neatly into the most popular part of the contemporary craft beer spectrum: pale and awash with tropical, New World hops. He says part of the beauty of operating a taproom is that it offers the team an opportunity to proselytise the virtues of their beers to those who walk through the door. So, though much interest in the lighter options comes from drivers, often they end up in the hands of those less concerned with their blood alcohol levels too. It would appear they enjoyed success at the Little Bang cellar door, as the brewery has decided to give Little Banger a widespread release in cans from this month. For all the positives, however, negative connotations linger around the low alcohol category – how many times have you heard someone say they’d rather drink “half a proper beer” instead of a lighter one? So, while growing numbers of brewers are making great middies, they are fighting against decades in which most light beer in Australia has been – to quote Monty Python – a little like making love in a canoe. Light beer’s history of being used as a pejorative also presents a unique challenge when it comes to naming them. So, while Little Banger’s three percent ABV might be perfectly suited for categorisation as a light beer, concerns that might undermine its appeal have seen it described it instead as a session beer. Queensland is the home of XXXX Gold, the mid-strength that is the biggest selling beer by volume in Australia. It has a climate suited to lower alcohol beers and is a state in which many smaller brewers have looked to add 3.5 percent ABV and under offerings to their range quicker than their brewing brethren elsewhere. When 4 Hearts first started operating in Ipswich, a light beer was among its very first releases, while Fortitude has enjoyed great success with its fruity 2.8 percent ABV Pacer, arguably the best locally brewed beer of that weight. Add in the likes of Newstead’s fine Ballymore Lager created with Queensland Rugby Union or Ballistic’s Pilot Light and there’s plenty to choose from. A man with as good a feel as any for what drinkers are after is Les Riddell. 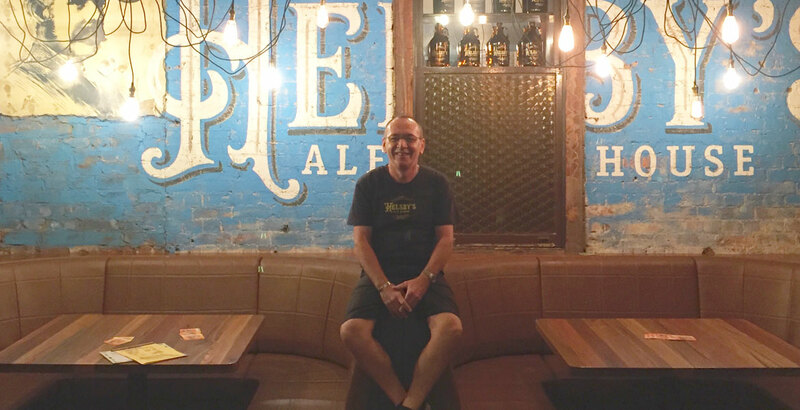 He’s been peddling craft beer in Australia for close to two decades, mostly in Brisbane, both at the Craft Wine Store bottleshop and, these days, overseeing Helsby’s Ale House. It’s a bar dedicated to independent Aussie beer that's found inside the Pineapple Hotel, a vast place located by the Gabba and, thus, steeped in XXXX Gold. “Being the mid-strength capital of the universe, people quite often look for the mid-strength option because that’s what they are used to drinking as a mainstream drinker,” Les says. “Certainly, in our market, it’s second nature for people to look at ABV, particularly those new to craft. “A beer that’s approachable in terms of ABV but it’s still got some backbone and depth and can hold the interest of a craft beer drinker, I mean, there’s certainly a market for it [and] not just in South East Queensland. 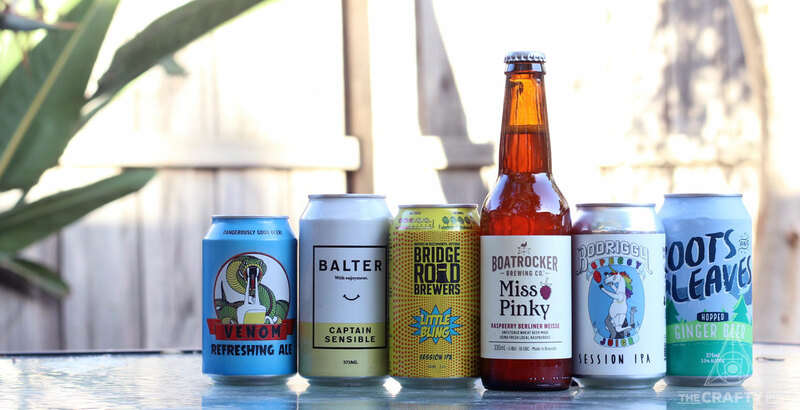 Les says with names like Green Beacon’s Half Mast or Balter’s Captain Sensible, there are breweries doing a good job of capturing the attention of drinkers in a fun and irreverent way, adding: “I think the beers are selling themselves on the quality alone. But what about other parts of the country where mid-strength beers aren’t so ingrained within drinking culture? Colonial's Small Ale has been a leader in the mid-strength field, developed for years before being canned. In Sydney’s North, at Porters Liquor Ryde, shifting them isn’t quite so easy. “I love a good middy but they’re just not as popular and people aren’t as interested,” says store manager Bronte Dodd. “When summer comes around, there might be a trend but it’s not something trending [right now]. Bronte believes there’s something of a generational factor at play too as older customers are often particularly brand loyal to the mid-strengths they’ve known for years, which can create a challenge for new breweries coming in. 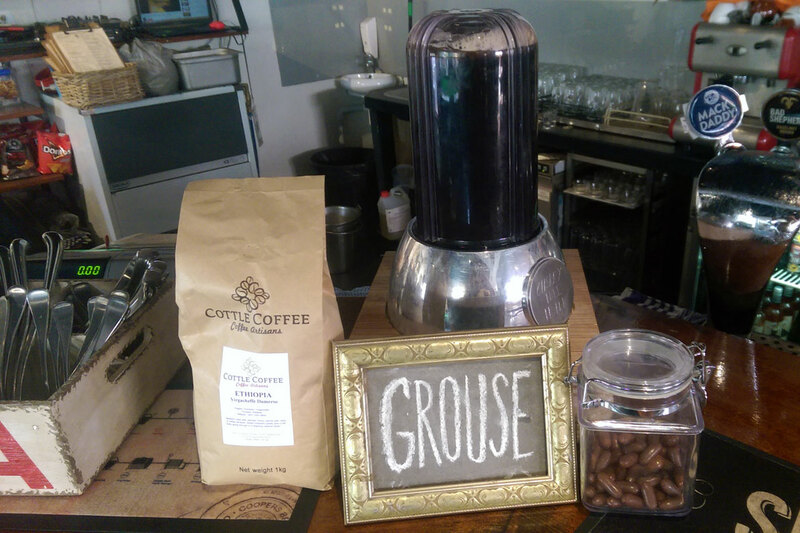 “It’s a very bustling little market when you are looking at the fridge and all the brands,” Bronte says. One brewer who agrees it's become a challenging space is Ben Kraus, who won a trophy at Bridge Road for the Little Bling Session IPA, one of the earlier and punchier beers in a space also occupied by the likes of Pirate Life’s Throwback. One of the breweries that's been leading the way is Colonial, with the Small Ale developed over a number of years a common sight at festivals that allow you to bring your own booze for a few years now. It’s a mainstay offering at the McCoppins stores in Melbourne too, with owner Van Ziras a fan since it was launched in cans back in 2015. “I remember tasting that and I think they were the ones getting the artwork right, getting it into cans, getting the flavour profile right and getting the price right,” he says. And, while it might seem like common sense, it’s the template he believes brewers need to follow to have a chance in the mid-strength market. “Breweries and the craft beer drinker don’t need to compromise on a good beer to drink a mid-strength,” Van says, while admitting they still find it to be a “slow-ish category”. Drinking for much of the day is something that took place at the Cherry Tree Hotel in Cremorne on the Saturday just gone. With the pub not far from a station on the line between the city and the Caulfield Races and two birthday parties booked in, venue manager Toby Kingsley admits the team was prepared for a day spent managing customers eager to take things a little too far. “In the past, it’s been a god awful day,” he says, but describes the one just gone as "a magical weekend”. With parking options limited around the pub, he says they’ve never put too much of a focus on mid-strength offerings across their 20-plus taps as few people drive to the pub. Yet he’s seen consumption of such beers increase, something he believes is in keeping with a “drink less but better” mentality, and expects it to rise again as summer approaches. “It’s a good way to keep yourself civil,” he says. The Cherry Tree's hopinator, frequently filled will fruit and sour beers – and quickly drained. That the quality and diversity of water-malt-hops-and-yeast mid-strength beers is on the rise is undeniable and, while the sector may be getting as cluttered as any other, it does appear that more drinkers are considering them more often. Yet there’s another area of the beer world that frequently crosses into lighter ABV territory that is where the action really is according to our interviewees. As the understanding of what beer can be continues to evolve on an seemingly daily basis, the willingness of brewers to explore new techniques, flavours and ingredients has brought benefits to the drinker seeking lower alcohol options that would have been unthinkable even five years ago. Kettle soured, often flavoured, beers have the ability to deliver an intensity of flavour and texture even at light beer strength. Boatrocker’s raspberry Berliner weisse Miss Pinky secured national distribution through Dan Murphy’s while the arrival of lactose as an adjunct now welcome in pretty much any beer you can conjure has seen cream sours, such as Bodriggy’s just-launched Space Milk series of three percent fruit 'n' cream sours, expand this niche. Even with a multitude of kettle sours hitting the market – “the amount of gose coming out would be three times the size of mid-strengths,” suggests Van – they’re very much flavour du jour and seem able to rise above any concerns over lower alcohol content. Brewer Fil believes that, while they might have a similar level of alcohol to many hoppy mid-strengths, such beers are satisfying separate drinking occasions. Toby, a veteran of many a fun night at the Cherry Tree and, prior to that, at the sadly-departed Great Britain Hotel, agrees. So, what do you think? Are lower alcohol offerings better than ever? Are you looking for more mid-strength options? We're bringing our Getting Blind With Crafty features back next month and will kick off with a look at mid-strengths. We'll be launching a public poll to see which ones to include this week so, if you've got a favourite, let us know so we can include it!